Hoffman Richter takes pride in having unmatched customer service and not compromising on manufacturing quality. 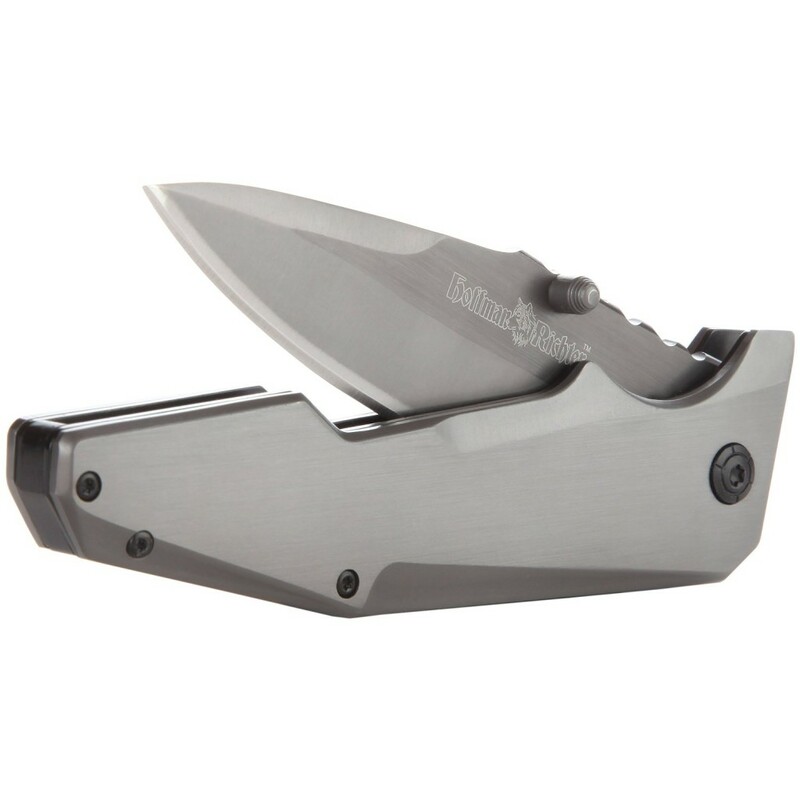 Hoffman Richter HR-30 Tactical Folding Knife is a specially engineered knife that has set the bars so high for the purported best knife out there. It’s not only a beautiful blade (which is a good selling point) but also scores incredibly high on performance and efficiency. It’s sturdy, big, and beefy and the ultimate lifesaver since it can handle just about anything thrown at it but comes out unscratched as you neatly tuck it away into the pocket. HR-30 is not only a survivalist blade but also doubles up as a utility blade which comes in handy during camping expedition. Its amazing features are worth writing home and raving about for they are impeccable. The 3.75” blade and 0.25” thick is made from incredibly durable steel, 440C stainless steel famous for finding the perfect balance between ease of sharpening and edge retention. This leaves you with one less problem of worrying about struggling with a dull knife while in the field. As a bonus, Hoffman Richter HR-30 tactical folding knife is coated with ultra-tough titanium to ensure that it lasts a lifetime since it protects it from rusting as well as wear and tear. As an upgrade from HR-15, HR-30 comes with an added notched blade to aid in controlling cutting and slicing regardless of how tough the material is. HR-30 has Drop point blade style which makes it incredibly well suited for campsite and hunting use since they are less prone to chipping the end of the blade. You can use them in drilling tasks without worrying about the knife losing its ability to slice or stab. This blade is also razor sharp, heavy duty and sturdy which makes it good at just about any task from splitting wood to a field-dressing game. Its durable design is unbelievable but if it happens that you break it, just rest easy since Hoffman Richter HR-30 tactical folding knife was generous enough to give a lifetime warranty. HR-30 jumped on the bandwagon of developing the fastest opening mechanism there is. This knife employs the Spring-Assisted Opening mechanism which is as fast as lightening, to say the least. Just within seconds, you will have your weapon ready for the job which is quite impressive. For any quality knife, safety is paramount, and HR-30 doesn’t fall short of the standard. With a Frame-lock safety switch, HR-30 offers the requisite protection to the user. If safety was the criteria you were considering, then HR-30 will give you just that with its extraordinary features. It has an overall length of nine inches, weighs 8 ounces, and it’s protected by Hoffman’s Richter’s Ironclad Lifetime warranty. The blade is strong, top-quality and well-constructed. Top-notch protection thanks to the secure locking mechanism. Quite smooth and easy to open even just by employing a single finger thanks to the lightening-fast string-assisted opening mechanism. Great aesthetics: It is a beautifully made blade. A razor sharp blade although it’s also very easy to sharpen with a knife sharpener or a standard sharpening stone. It’s a great knife for price. Q: Where is HR-30 manufactured? A: It’s China-made. They have manufactured with top-quality materials which make it incredibly beautiful. Q: Does it come with a pocket clip? A: No, it doesn’t have a pocket clip. Instead, it has a standard liner lock. Q: What safety mechanism does it employ? A: It uses a frame-lock safety switch which provides top-notch security to the user. Hoffman -Richter surpassed all expectations and produced one of the coolest, most badass knives on the market today. The astounding edge retention, the weight, and feel of the knife, the razor sharp blade, the great aesthetics and so many other amazing features make this blade keep winning. Choosing the best tactical knife should no longer be stressful since this bad boy provides slightly more than what you are looking for. Purchasing HR-30 is an investment you should make since it will be there for you during camping, hunting and all those moments you would otherwise be caught unprepared. Grab one for family or friends to make their day perfect today.